Rev. 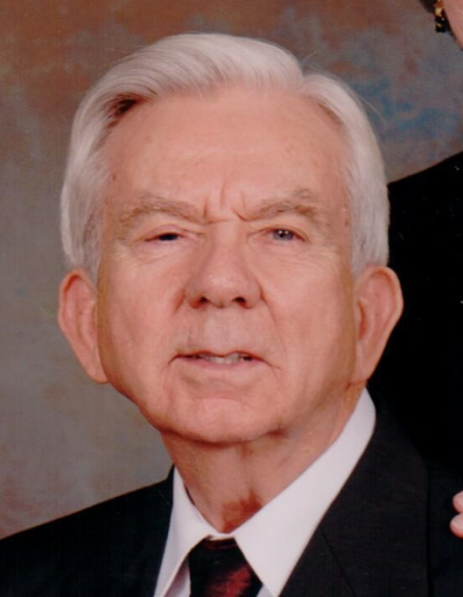 Carlos Owens age 88 of Nashville, TN, formerly of Henry County, died Saturday, February 9, 2019, at Woodcrest at Blakeford in Nashville, TN. Born June 6, 1930 near Eagle Creek in Henry County, he was a son of the late Raymond and Della Nora Rice Owens. He was married on June 17, 1955, at First Baptist Church, Dunedin, Florida, to Myrtice Jean Taylor who survives. He graduated from E. W. Grove High School, Paris, TN, Union University, Jackson, TN and Southern Baptist Theological Seminary, Louisville, KY. He served as pastor of churches in Henry and Stewart Counties prior to going, with Myrtice and Janice, age 10 mo., to Tanganyika (now Tanzania), Africa as missionaries in 1957. He leaves his wife, Myrtice Jean Taylor Owens, of Nashville; three daughters: Janice Alese (Roger) Duffy of Nashville; Ruth Ellen (James) Alvin, of Wheaton, IL & Debra Anne (Stan) Owens-Hughes, missionary with the IMB in Sao Paulo, Brazil; one sister, Patricia Eliza “Pat” Dyer of Virginia; eleven grandchildren: Aaron (Lesley) Duffy of Johnson City, Adam (Beth) Duffy of Los Angeles, CA, Andrea Duffy, Nashville, Katie (Josh ) Stevens, Nashville; Andrea (Dan) Burkly of Wheaton, IL, Sharon (Gus) Neumann of Apex, NC, Mikaela (Samuel) Otavalo of Nashville, TN, Zachary Owens-Hughes of Nashville, TN, Carlos Owens-Hughes of Little Rock, AR, Sierra (Evan) Estes of Houston, TX, Arielle (Shawn) Stewart, Wheaton, IL; and twelve great-grandchildren, Samuel and Ethan Duffy; Matt, Jack, Julia & Nathaniel Burkly; Nathaniel, Owen and Taylor Neumann; Alex Stevens, Emma Otavalo and Raiden Stewart. Also surviving, a sister-in-law, Antionette Wallace Owens and many nephews and nieces. Preceding him in death were his parents and five brothers; Neely Harwell, Robert Carrol, Ed Archibald “Bill”, Aubrey Raymond, & Charles Delmer Owens; three sisters; Audrey Della Harris, Rena Elizabeth Green and Sylvia Ann Owens, two grandchildren, Matthew Stephen Kaskela and Kristin Lynn Duffy. Rev. Owens with his wife, Myrtice, spent 36 years in Africa as Southern Baptist Missionaries where he did evangelism and church and community development. Rev. Owens' interests, other than church and missions, included writing, hunting, genealogy, gardening and photography. He wrote and published three books on family history and, while in Africa, a book on Parliamentary Procedure in Swahili. He, with Myrtice, published Hands Reaching Out of Darkness about their African Missionary experiences. They translated Hymns and Choruses into Ndonga, the language they used in Namibia, and published a hymnal for use in their churches. After retirement, the Owens helped to establish the Swahili Baptist Church at Woodmont in Nashville. His funeral will be Thursday, February 14, 10:00 AM at Ridgeway Funeral Home, Paris with Rev. Jeff Holder officiating. 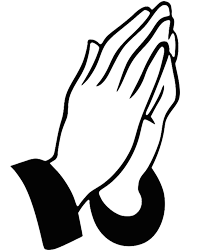 Visitation will be Wednesday the 13th, 4:00-8:00 PM and Thursday at 9:00 AM. Burial will follow in the Jones Chapel Cemetery. Memorials may be made to the Carlos & Myrtice Owens Fund (a perpetual mission support fund), International Missions Board, P. O. Box 6767, Richmond, VA 23230-0767 or via First Baptist Church, 313 N. Poplar St., Paris, TN 38242, or to the charity of choice.